CP photo by Renee Rosensteel Taylor Raven, left, and Brian Vu portray “Hannah,” the transgender heroine of As One. Composer Laura Kaminsky recalls a newspaper article she read about a New Jersey man who was transitioning to female — and who faced losing his marriage unless marriage equality was legalized in that state. “Oh my god, this is the stuff of an opera!” Kaminsky told her own wife. Kaminsky was drawn to the question of what makes us who we are, and what a person might gain and lose in seeking that identity. Eventually, and with help from a transgender filmmaker and a renowned librettist, Kaminsky created that opera, though in greatly altered form. As One, which premiered in 2014, debuts here in a new Pittsburgh Opera production, with four performances Feb. 18-26. Far from the multi-character work Kaminsky first envisioned, As One is a spare if witty and richly woven piece with just one character: the fictional Hannah, embodied by two singers as “Hannah before” and “Hannah after.” Both are on stage for most of the show, singing mostly solo but sometimes in harmony. The story follows Hannah, born male, from her adolescence into a young adulthood in which she has transitioned to female, and recounts her struggle to come to terms not only with an unaccepting society but also with herself. 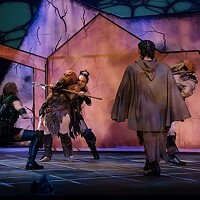 The one-act opera, driven by Kaminksy’s forceful score played live by a string quartet, runs 75 minutes. 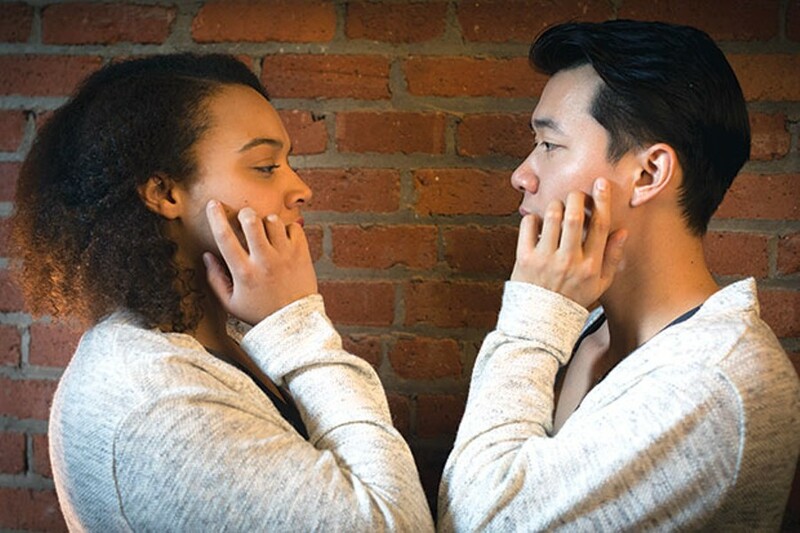 Hannah-before is sung by baritone Brian Vu, and Hannah-after by mezzo-soprano Taylor Raven; both are Pittsburgh Opera resident artists. 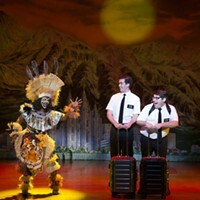 Raven previously sang her role last fall, at Seattle Opera — one of nine productions of As One since its world premiere at the Brooklyn Academy of Music. That’s a remarkable track record for a new American opera. As One has been praised as “inspiring and groundbreaking, innovative yet relatable” (Seattle Weekly), and as “a thoughtful and substantial piece as well as that rarest of operatic commodities — a story that lends itself to dramatization in music” (Washington Post). The New York-based Kaminsky’s orchestral works and string quartets have been performed worldwide. When As One was still a concept, she saw Prodigal Sons, an acclaimed 2009 film by Kimberly Reed, a transwoman who documented her efforts to reconnect with her brother. (Reed told her story here in 2011, at a Moth Mainstage event at the New Hazlett Theater.) Kaminsky contacted Reed and introduced her to Mark Campbell, a renowned librettist whose credits include the Pulitzer-winning opera Silent Night. 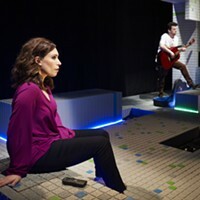 For the Pittsburgh Opera production, at the George R. White studio at Opera headquarters, stage director Frances Rabalais chose not to use the projected videos, created by Reed, that most other stagings have employed; Rabalais says she wants to keep the focus on the two performers in motion on Chen-Wei Liao’s simple, three-level set. As seen in rehearsal, while one performer sings, the other acts silently, subtly commenting on the action.